The Aston Cirebon Hotel and Convention Center is a family-friendly four-star hotel, which looks and feels like a resort. It is located roughly five kilometers from the city’s main train station. Their complimentary shuttle takes guests back and forth between the hotel and Cirebon’s main attractions. They’ll book your train ticket for your and even pick you up from and drop you off at the station. Upon arrival, the friendly staff greets you with refreshments. The tropical location is apparent by the palm trees surrounding the counter of the Oasis Bistro, which takes up much of the ground floor’s open area. The hotel has 200 spacious rooms. The Superior rooms are 33 square meters (355 square feet), while the Suites are 72 square meters (775 square feet). The in-between options are the Junior Executive and Executive Rooms. 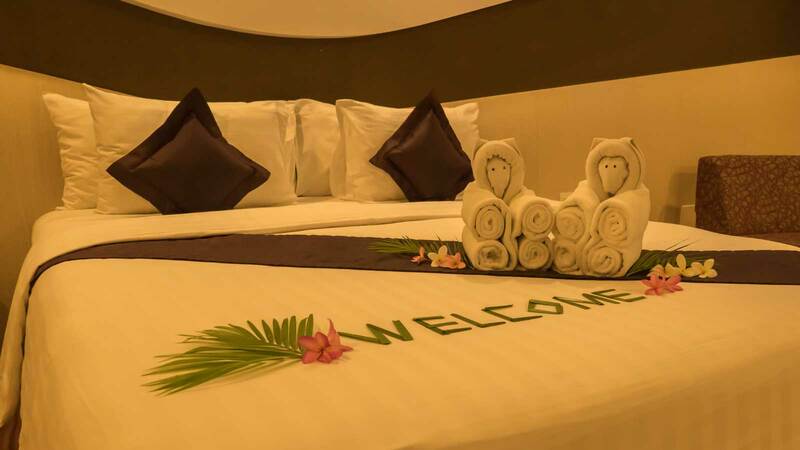 The beds are neatly decorated with “WELCOME,” artfully drawn with palm leaves, while towels are carefully crafted into bears and other animals. In addition to standard 4-star hotel amenities; each room includes a safe, hairdryer, and mini bar. There are 32 smoking rooms available between the 9th and 10th floors. In all, there are 11 floors. There’s a spa and health club, with the option of in-room massage as well. 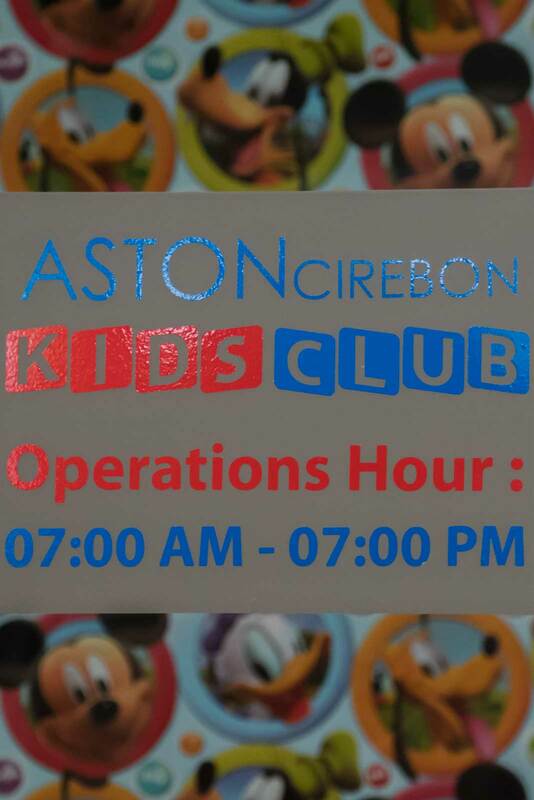 While you’re working out in the health club or getting a massage, you can drop your young ones off at the Aston Cirebon Kids Club, which is open daily from 7 to 7. In the rear of the more than three-hectare property, there’s a large swimming pool with a depth ranging from 0.6 to 1.5 meters. In the middle of the pool is a small island with a palm tree. A dart board and pool table are just outside the rear entrance.Behind the pool, there’s a small soccer field, mini zoo, jogging track, papaya trees, and more. For dining, the Oasis Bistro is open daily for breakfast, lunch, and dinner. In keeping with the family-friendly theme, it even has a kids dining corner. The breakfast buffet features different carts, giving it the feel of a cleaner version of hawker stalls. If you’re looking to unwind in the evening, the Osmosis Bar & Lounge is open from seven in the evening to one in the morning Monday through Saturday. There’s also Takebayashi, their Japanese-Korean fusion restaurant. This post was partially sponsored by the Aston Cirebon Hotel & Convention Center. Yes, this place is a very good option for couples along with kids. Even the dining options are great. It looks to be a great place to spend time with your family because it has a bit for everyone including the kids play area. I like the dining options and other amenities the hotel has to offer to its visitors. It’s looks a such good place to spend the summer vacation. The restaurant seems to be good since I like bistro. How nice that they book your train for you! Must have been such a neat experience, looks like a great time! It looks a great place to stay! It’s amazing that they have a kids club too so that everyone in the family can have a good time! It looks like this is a great family friendly hotel. I have to say that I am a sucker for a free shuttle. I wish more hotels offered that. All I need in a hotel is a spa and clean rooms and Aston Cirebon Hotel has all what I need. I would love to spend a couple of days there, and pamper myself. 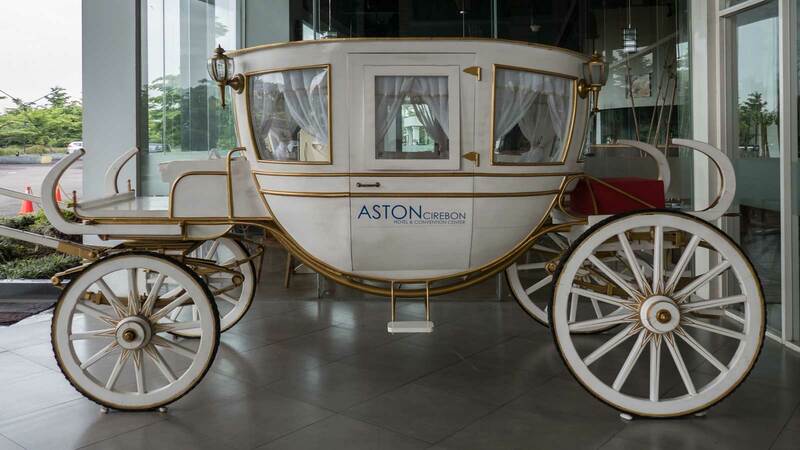 The carriage seems to be the most interesting part of the hotel – looks magnificent! 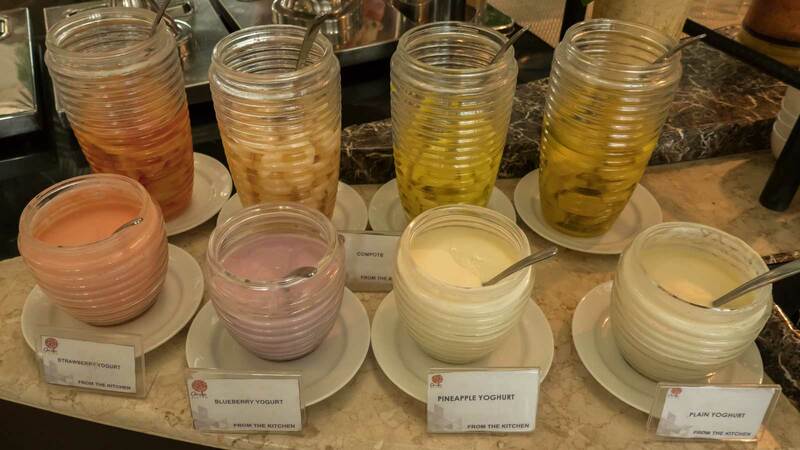 Many types of yogurts! I would like to have breakfast like this. The Aston Cirebon looks like a very nice hotel! That carriage is so fairytale-like, love it! It’s great too that they offer complimentary shuttles. Looks and sounds like a great spot to spend a few nights!